2005’s Fantastic Four has become one of the more forgotten superhero movies of the 21st century, more in line with the likes of Green Lantern or The Incredible Hulk than any Avenger-associated film, or Christopher Nolan’s epic Batman trilogy. The truth is that Fantastic Four actually grossed over $300 million internationally (on a $100 million budget), so it wasn’t exactly a financial failure. But critics and fans were not overly enthusiastic about it, which is why, only a decade later, a franchise reboot is on the way. 2015’s Fantastic Four is due out this August, and though it is affiliated with Marvel comics, it will again be distributed by 20th Century Fox (as the 2005 version was). But what will be different this time around? Here are a few things we know for sure. All it takes is a look at IMDB to see that the studio is going in a very different direction with this take on the comic. Last time around, Ioan Gruffudd, Chris Evans, Jessica Alba, and Michael Chiklis played Mr. Fantastic, Human Torch, Invisible Woman, and the Thing, respectively. This time, they’ve been replaced by Miles Teller (Mr. 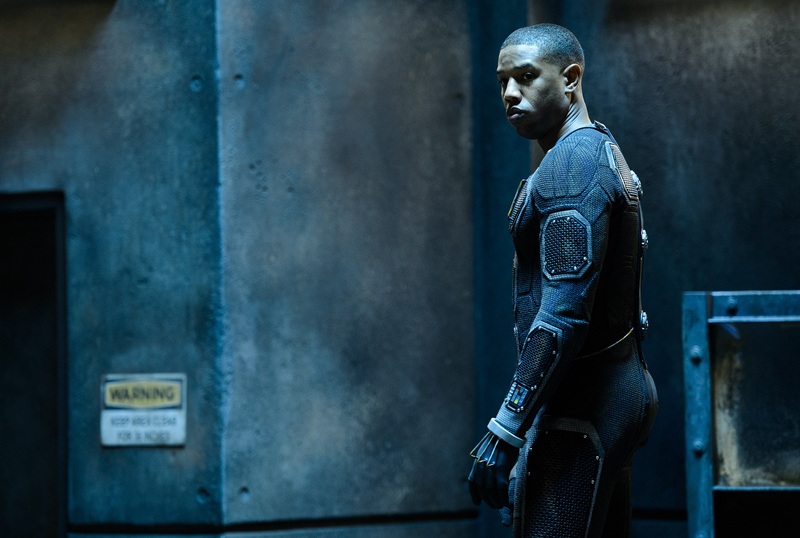 Fantastic), Michael B. Jordan (Human Torch), Kate Mara (Invisible Woman), and Jamie Bell (The Thing). That’s a pretty accomplished group of actors from both films combined, but where the first version went for a more adult presence, the 2015 Fantastic Four is all about youth. In fact, it almost seems as if the studio hand-picked up-and-coming actors to lend an exciting vibe to the project. Jordan is viewed by many as one of the most promising young actors in Hollywood, and the beautiful Mara gained a lot of fans with her work on House Of Cards. Bell, meanwhile, has recently become popular as the character Abraham Woodhull on the Revolutionary War drama Turn. But it’s perhaps Teller who’s most intriguing. Coming off a major breakthrough with his role in the Oscar-nominated Whiplash, Teller is essentially a kid compared to the grizzled and experienced Gruffudd. In fact, some might argue that the dynamic of an older and more experienced Mr. Fantastic was one of the better aspects of 2005’s movie. But Teller is certainly a capable actor, and it will be exciting to see what he does with the role. Costumes may not seem vitally important to a casual movie fan, but to comic book lovers, costume accuracy can be a major component of a superhero film. Traditionally, the Fantastic Four have worn blue-and-black skin-tight suits, unzipping at the neck and adorned with “4” logos. The 2005 cast wore a version of this uniform, and it was actually presented even more accurately in Betfair’s slot machine gaming adaptation of the film. The game employs the use of Fantastic Four faces and character images on its slot wheel and shows them off in the vibrant color and comic-accurate uniforms that sometimes came across somewhat darker in the film. But from the look of it, neither the comics, the 2005 movie, nor the casino game adapted from them has quite forecasted what we’ll be seeing in the new version. Actually, while the blue-and-black suits described previously are the most traditional uniforms, an MTV article did a nice job of outlining numerous redesigns that occurred in the comics through the years. From early looks at the new movie, the closest match might be the “Ultimates” look, which is a slightly darker and more streamlined version of the traditional uniform. In some shots of the new footage, it even looks as if the cast might be in all black. We’ll have to wait and see what exactly the new Fantastic Four look like in full gear! This is a compliment paid too often to superhero films and TV shows these days, and it tends to serve as a sort of cheap way to avoid further description. Still, the basic idea is that most fans appreciate a superhero adaptation that takes a tense, realistic approach that’s not afraid to get dirty as opposed to the lighter, cheesier approach that some directors have produced. This is all mentioned in a nice reveal of Fantastic Four facts from Screenrant, which also mentions that there will be a more scientific, modern approach this time around—also evidence of a superhero movie that may strive to be as realistic as possible. This one doesn’t require a lot of explanation, but according to CinemaBlend, there is already a sequel in the works that’s scheduled for a summer 2017 release. This isn’t exactly surprising for a modern superhero franchise, but it certainly displays some confidence in the reboot given that the last attempt sort of fizzled out! Fantastic Four is released in the UK on 6 August and 7 August 2015.